Hats off to Venice is a fun photo created as a demonstration of the tilt-shift effect. 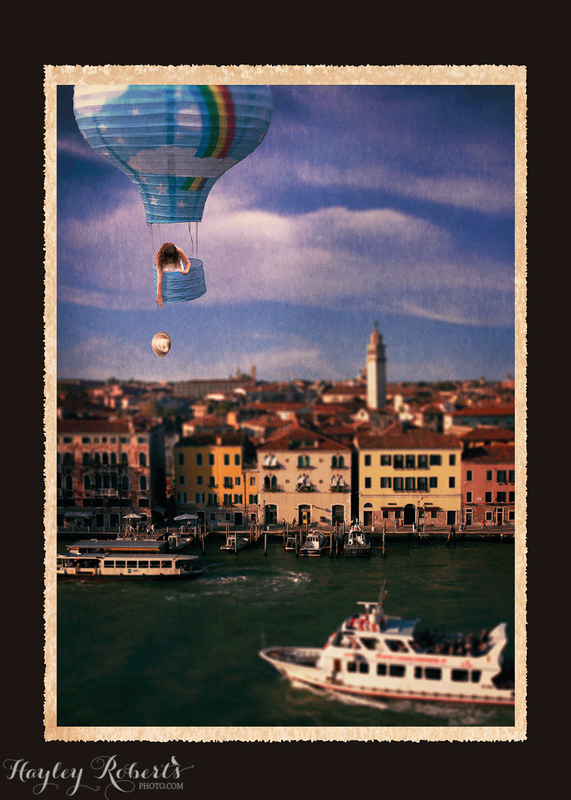 It is a composited image of a scene of Venice, a balloon shaped lantern, a reaching girl and a falling hat, all edited to look like a vintage postcard. 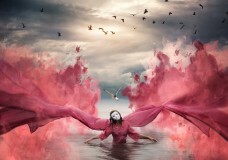 You can learn more about the tilt-shift effect and see behind the scenes images here.